Commenting on the decision by Russia and Turkey to create a “demilitarised” zone in a rebel-held Syrian region, the EU called on Tuesday (18 September) on the “Astana guarantors”, Russia, Turkey and Iran, to respect civilians as a matter of priority. The three countries are the major players in the Syrian peace process hosted by Astana, the capital of Kazakhstan. Russian and Turkish troops are to enforce a new demilitarised zone, under the Astana process, in Syria’s Idlib region, from which “radical” rebels will be required to withdraw by mid-October, Russian President Vladimir Putin said after meeting his Turkish counterpart Recep Tayyip Erdoğan on Monday. 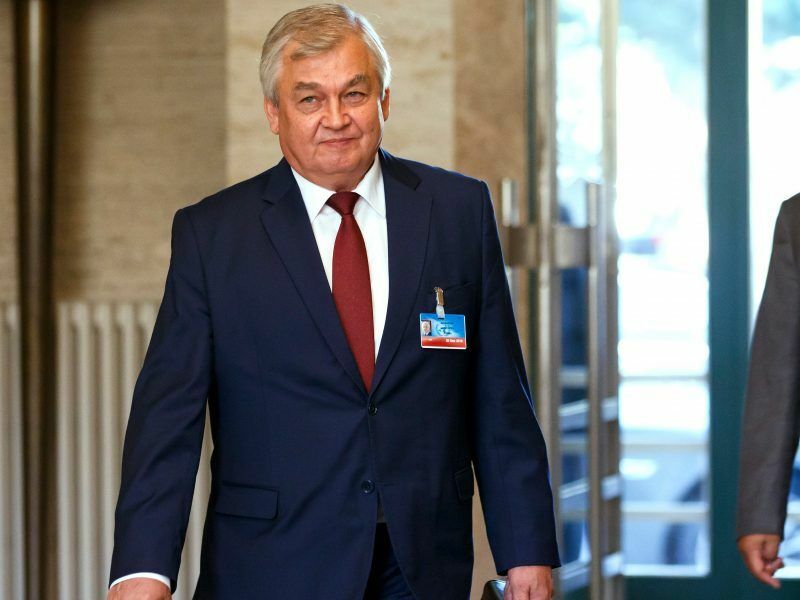 Moscow believes it is up to Turkey to separate Islamist militants from the moderate opposition, and considers Idlib “a sort of a zone of responsibility of Turkey”. “By 10 October, at the suggestion of the Turkish president, (we agreed) on the withdrawal from that zone of the heavy weapons, tanks, rockets systems and mortars of all opposition groups,” Putin said, with Erdoğan standing alongside him. Neither Putin not Erdoğan explained how they planned to differentiate “radically-minded” rebels from other anti-Assad groups. It was also not immediately clear how much of the city of Idlib fell within the zone. But after Putin’s talks with Erdoğan, who has opposed a military operation against the rebels in Idlib, Russian Defence Minister Sergei Shoigu told reporters no offensive would take place now. Erdoğan, who had feared another cross-border exodus of Syrian refugees to join the 3.5 million already in Turkey, said the deal would allow opposition supporters to stay where they were, and avert a humanitarian crisis. Asked to comment on yesterday’s meeting in Sochi, Maja Kocijancic, spokesperson to EU’s foreign affairs chief Federica Mogherini, reminded that the EU has repeatedly said the military offensive in Idlib would put at risk the lives of approximately 3 million people living in the region, and should be avoided. 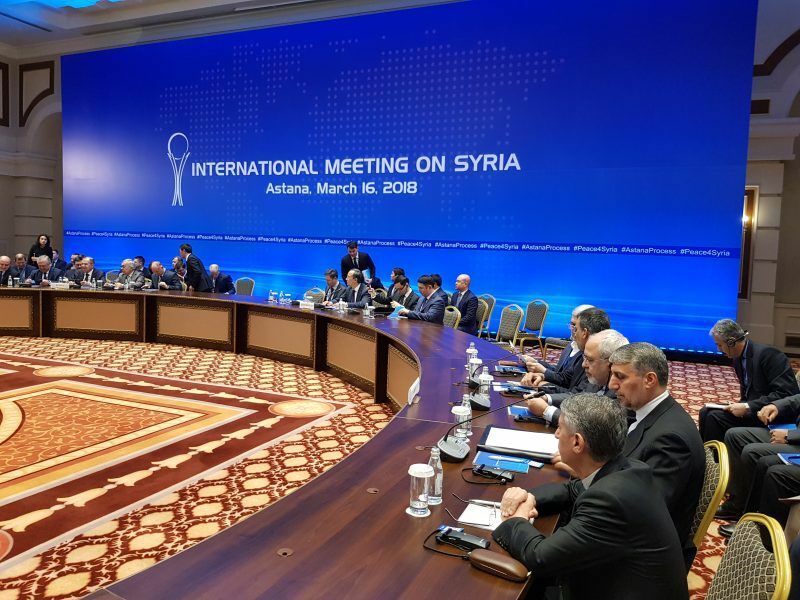 “Idlib is the last de-escalation zone remaining in Syria, and the Astana guarantors have committed to safeguard it, and in this context we have called repeatedly the Astana guarantors to follow through their commitment and to respect civilians in a matter of priority”, Kocijancic said. She added the EU expects that the agreement reached by the Russian and Turkish presidents will guarantee the protection of civilian lives and infrastructure, as well as guarantee the unhindered and sustainable humanitarian access. Idlib is held by an array of rebels. The most powerful group is Tahrir al-Sham, an amalgamation of Islamist groups dominated by the former Nusra Front – an al Qaeda affiliate until 2016. Other Islamists and groups fighting as the Free Syrian Army banner are now gathered with Turkish backing under the banner of the “National Front for Liberation”. 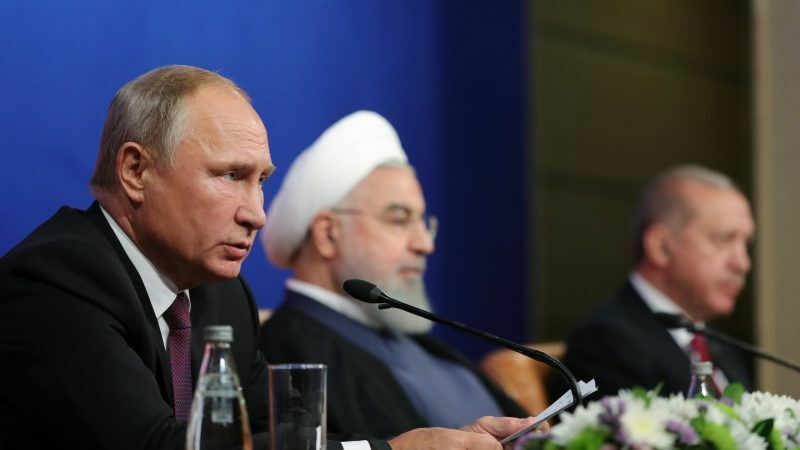 Putin this month publicly rebuffed a proposal from Erdoğan for a ceasefire in Idlib when the two met with Iran’s president for a three-way summit in Tehran.